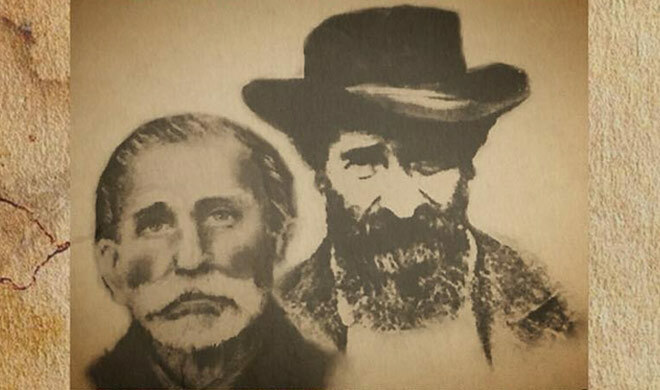 In 2003, Bo McCoy and his cousin Ron McCoy, both direct descendants of feud leader Randolph McCoy, worked tirelessly with Reo Hatfield, descendent of the feuding Hatfields, to bring an official end to the world’s most famous feud. While peace between the two families had been in place for several decades, Bo, Ron and Reo felt it was important to make an official treaty to serve as a reminder of just how far both families have come since the terrible feud. And while there remains no hostility between the families, the feud history itself is still something that is hotly contested. Below are 5 things Hatfields and McCoys (along with those who study their history) still feud over. While most historians agree that the portrayal of Perry Cline in Kevin Costner’s Hatfields & McCoys miniseries is quite inaccurate (Roseanna was never a love interest of his, he was married at the time), he remains one of feud lore’s’ most controversial characters. It is believed that at a young age, Cline was robbed of 5,000 acres of land by Anderson “Devil Anse” Hatfield in a court ruling. 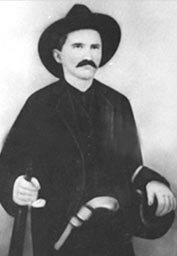 Some claim that Cline flamed the anger of the McCoys against the Hatfields for revenge. Cline is often demonized by those who support this view, with some writers blaming him for the feud altogether. Supporters of Cline often paint a more desirable image of him, believing that he was simply helping the McCoys in their struggle for justice. Cline was responsible for the establishment of the first school for African Americans in Pike County, and there are a few streets in Pikeville City that bear his name, or that of his wife Martha. Cline was a successful politician as well, attaining the position of Kentucky State Representative. While these facts do not prove or disprove claims that he was solely, or at least in some way responsible for the feud, they do serve as a reminder that human history can be a complex thing to study. #4 Was “Crazy” Jim Vance Crazy? #3 Was “Bad” Frank Really Bad? As with many other feud related personalities, “Bad” Frank Philips is a complicated character to understand. Feud lore portrays Philips as a gunslinger anti-hero (or villain in some cases) with a variety of wild stories involving women, alcohol and excessive force. There are some historians who believe that Philips was not “bad” at all, but rather took the necessary measures needed to wrangle up one of the Tug Valley’s most dangerous gangs, the (bad) Hatfields. After all, this was post Civil War era in the battle line state of Kentucky. 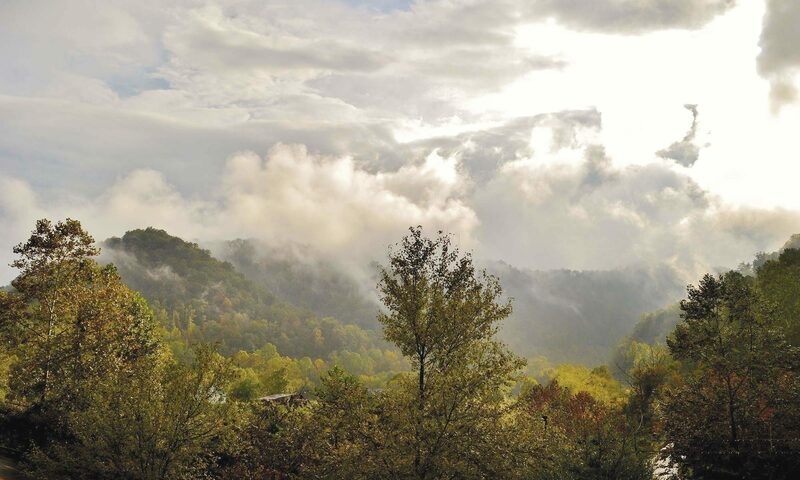 Law was being reintroduced to the area, and as with the Wild West, the Appalachian region struggled to recover from the chaos of war. Philips was commissioned by Kentucky State Government to track down and arrest Hatfields. When extradition laws got in the way of Philips accomplishing his mission, the United States Supreme Court sided with Kentucky. Philips served as Deputy Sheriff, and last week, was recognized in the unveiling of the Pike County Courthouse’s Fallen Police Officers Memorial alongside other officers who fell in the line of duty. The Phillips family has since been known to serve in law enforcement and education with much success. This may not be a testament to his character, but it does make one wonder about the “bad” label. #2 Was Devil Anse Really the Devil? Probably the most complex character in feud history, Anderson “Devil Anse” Hatfield’s reputation includes a variety of traits that make for an interesting personality. I have been told that he was “six feet of devil and 180 pounds of hell”, who staved off a Yankee attack by himself at the battle of Devil’s Backbone. He kept bears as pets, was politically connected and used fear and intimidation to influence Pike County politics. He is considered the feared leader of the Hatfield clan. He has also been described as a peaceful family man who only reacted to Randolph McCoy and sought to extinguish the feud before it grew out of control. Devil Anse supporters claim his hand was forced due to the murder of his brother, Ellison Hatfield. A portion of feud enthusiasts question Devil Anse’s authority, and claim that he was nowhere near as instrumental in the feud as Wall Hatfield, his older brother, or his uncle Jim Vance. In fact, some claim his preferred weapon of choice was the courtroom, as he was involved in various disputes over land and logging rights. Despite being relatively easy to locate, Devil Anse was never brought to trial for anything involving the murders of McCoys or any other feud activities. Does this mean he was not directly involved? This is where the debate ensues. The most common question we receive from visitors is over how the feud began. I would gamble to say that the romanticized Roseanna/Johnse forbidden love story or the hog trial tends to be the most widely believed origin. However there are a variety of solid reasons for what brought about America’s most famous feud. Those who believe the McCoys were victims tend to claim that the murder of Asa Harmon McCoy, although more than a decade before the hog trial, is the starting point of the feud. The Civil War dynamic of the murder (Harmon was a Union Soldier, “Feuding Hatfields” were confederate sympathizers) certainly makes sense, and I am told history shows no instances of feuds in Appalachia before the Civil War. As mentioned above, the land dispute between Perry Cline and Devil Anse is sometimes cited as the feud’s true purpose, with Randolph McCoy being a pawn of Cline’s to get revenge on Devil Anse. It has been suggested that economic factors played a significant role in the feud, with the lesser well-to-do McCoys being jealous of the Hatfield’s logging enterprise. Those who believe the Hatfield’s were victims say that the murder of Ellsion Hatfield, Devil Anse’s brother, marked the beginning of the feud. Historian Altina Waller suggests there was no feud at all, but that the “trouble” that occurred was sensationalized by the media of the day, bringing the feud label. All in all, let us be glad that the “feuding” of today is limited to learning and establishing historical truth, with education being the driving force. The author of this article is not a historian. This article is simply an editorial to inspire conversations about the feud. Items cited in this article are gathered from the author’s personal conversations with those who study the feud. Civil War records show that Devil Anse was actually 5′ 6″ tall. His height is included on more than 1 document. He was never a captain (he’s listed as a private) & he deserted after about 8 months of service. I would like to suggest that it may not be prudent to include passages from Thomas Dotson’s book. He doesn’t believe there was a feud & his goal was to run down the book of 1 writer (favored the McCoys) & to quote endlessly from the book of another writer ( favored the Hatfields). 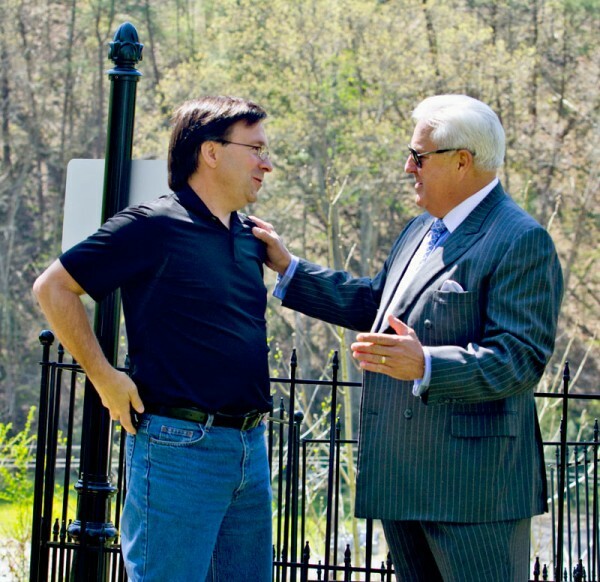 He moved away from the hills at an early age, & in my opinion,cares nothing about the future of Pike Cty. Finally a site that is listening to the historical documents instead of the “front porch tales” written about by authors who apparently knew nothing of the life of Jim Vance. He was a constable and also spent time as a Justice of the Peace in Logan WV during the time which some cite as feud years. He also moved from Logan County in 1886 in the height of what some call the feud years. And was murdered at his daughters home, since Jim didn’t live in Logan then. What the authors and story tellers don’t want to admit or apparently did not research before the wrote about this man. The man who so many blame all their historical events on will have the last laugh. All of this is proven and will come out, and there will be many who will have to take all those stories or try to reconfigure those stories to fit once again. To attack Thomas Dotson’s book without facts to refute the much research details Thomas relates is at least unfair to the author if not defamatory. Might I suggest all who wish to make a balanced study of the facts read his book and other books such as the ones written by authors Coleman Hatfield and Altina Waller before forming a premature opinion. Oh, and though Thomas is a 3rd cousin of mine, I receive no proceeds from his book. I have met him twice and find him to be one of the more intelligent and engrossing conservationist about the area along the Tug River, its people and events concerning what we know as “The Feud”. He was after all born there and knew many of the families personally that had fathers, uncles and grandparents that were involved. My interest in lifting the vale on the fables and knowing the truth is personal My great grandfather John Wallace Hatfield and his family were neighbors to Randal McCoy. They considered themselves to be on good terms with Randal and his family and up to the terrible events of Election Day lived peacefully nearby. 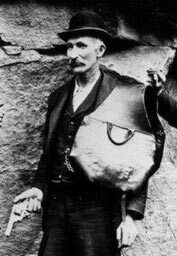 My great grandfather was instructed by his father “River Wall” Valentine to gather up the 3 dead bodies and load them on his sled so he could return them to Randal. This he wished so to keep peace between their families. So, as you can see, I am closely related and thus seek sincerely to know all the facts. The story about returning to bodies was relayed by my grandfather Allen’s brother, Basil to a Williamson newspaper several years ago if anyone wishes to verify it. From reading the above comments from the Hatfield and McCoy descendants, it seems the feud isn’t over and put to rest after all……….LOL! This is a part of American history and folklore. All of it may not be known, but still must be kept as part of our history. From just watching the movie and with that in mind I would say the two main causes of the this horrific tragedy lies with Randall McCoy. Yes desertion is a crime but Randall should have contacted the Confederate Commander at the time he saw Devil Anse Hatfield leave the site. The pig was without a doubt McCoy’s pig. McCoy’s killed and nutter a Hatfield employee. 4. “Bad” Frank Phillips and his deputy. Personal opinion is both families should have allowed the marriage of Rosanna McCoy and JonC Hatfield. Thanks for reading and I wish peace to both families. Thank you for your comments Ann. Keep in mind that hollywood put quite a bit of “hollywood” into the miniseries, often changing some details to ‘enhance’ the already spectacular story. I would suggest you read some books on the subject as well, as many historians challenge the portrayals of some of the characters in the miniseries, especially Perry Cline and Jim Vance. I am the great, great grandson of Randall McCoy. When I was a young boy my grandfather came to live with us from Pikeville, Ky. and his grandfather was Randall McCoy. He use to tell us many true facts about the feud. One was that Johnse Hatfield was nothing more than a womanizer and a still operator and had no great romance for Roseanna. He chased every woman he could and was a man of low morals and character. My dads Aunt Trudy wrote a very researched book about it. A lot of tales were made to enhance the times. The states of Kentucky and W. Virginia could not agree on things before the mini-series was made and they shot the movie in Romania. My brother’s boy Bo McCoy and his cousin Ron made the move to offically end the feud. Pikeville thrives today with the folk-lore because of this. I’m proud of my heritage and proud to live free in America. In the making of the Hatfields and McCoys movie mini series several people who starred in the movie said that they couldn’t film the movie in Kentucky or West, Virginia because they had to have a place that was untouched by civilization meaning power lines and cars, and buildings and that why they had to film it in Romania. They said that is the only way that they could film all of the wide panoramic shots. They wanted to film it here in America but had to have a remote area that had open mountains, hill tops, and a place where they could build the make shift towns. They did go to Kentucky and West, Virginia but couldn’t find places that had what they needed. I for one would have loved it they could have filmed this in the areas where the Hatfields and McCoys actually lived. It s such an American movie that fascinates us all. Hi there. The Mccoys are my ancestors. This part of my background is something that’s interesting part of my life. I tell friends of mine or guys I’m interested in or like. My mom Nancy McCoy is her great more than once grandmother. I didn’t know when I was younger that the Mccoys were my ancestors. I found out when I was 15. I thought the Hatfields were my ancestors. Then my mom told me the Mccoys were my ancestors. I have seen the mini series on the History channel. I have read things that were either false or true. It’s still confusing to me on what was 100% true or 100% false. Lots of people know about the Hatfields and Mccoys. There were times I would bring it up. I was shocked to hear the word NO. Years and years later the feud is still and remains popular. Knowing the Mccoys are my ancestors it’s something I’m proud of. But I want to know more about the feud. Susanne seeber November 29 .2016 I so enjoyed the 3 part series with Kevin Costner on the Hatfield and Mcoys recently, that story has always fascinated me and want to buy some books on it. I would love to visit the area, I don’t live far, being in NW Alabama. It was most interesting watching the series. I heard of the history of the fued but never indulged in any history books about it. Obviously it was a different time and different laws of the time .. But i can see how the mentality. Of any eye for eye a life for a life was the way of the times back then. Im sure some facts where over exaggerated and some where not . but one fact that was not exaggerated was the pain this fued caused both sides .. I just wanted to say im both Hatfield and McCoy. I’m an old history buff. 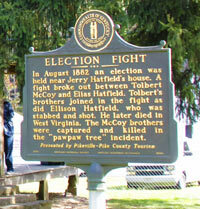 I have always found the Hatfield and McCoy fued interesting and enjoyed studying the events. Coster’s film had some inaccuracies but his gist was right, and it was one of the best movies I have ever seen. Ive been to devil anse hatfields grave. Its not on top of a hill but its a lil ways up and no white picket fence although it had a wrought iron fence. No swinging bridge. Concrete bridge crossing the creek. The cemetary was poorly kept. The road was very rough. I am told that the property is private, so the owners would have to make changes/manage it. We are not permitted to upkeep it. We do, however, have some great property owners on the Kentucky side that, for the most part, do a great job of managing the Pike County Feud sites. all the research in the world is nothing more than guess work. no one knows for sure exactly what was going throught the minds of the people that involved in the fued between these two families. I feel sorry for both families that lost their loved ones. may god bring ever lasting peace between the families. I find the history very interesting and only hope to know the “real” truth of my ancestors the Hatfields. The men in my family strongly resemble Abner Hatfield and I am finally able to put names and stories with the photos I have.